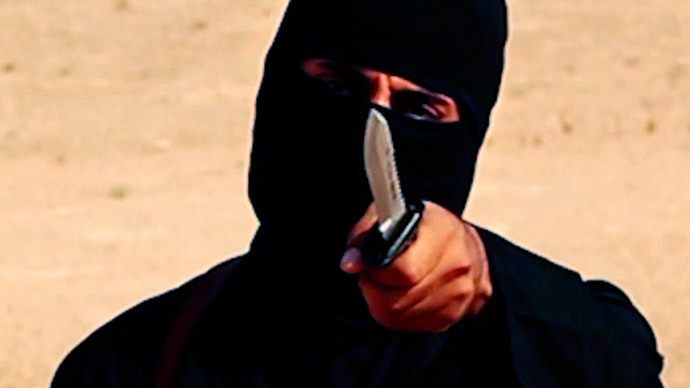 Mohammed Emwazi, the British ISIS executioner known as Jihadi John, initially wanted to join Al-Shabaab in Somalia years before becoming a member of the Islamic State but abandoned the plan after the East African militants killed his friends. Emwazi gave up his plan to join the Islamist insurgent group Al-Shabaab, which controls swaths of war-torn Somalia, after some of his friends known from London were betrayed and killed amid allegations they were set up by rival groups. Fearing for his own life, Emwazi decided not to join Al-Shabaab, the Independent reports. The claims come from a 29-year-old Syrian man, known only as Ayman, who worked for the Islamic State (IS, formerly ISIS), but denies having been a member. Ayman met Emwazi shortly after he entered northern Syria. “He told me that if he had gone to Somalia he himself could well have been killed,” Ayman told the Independent. In 2009, Emwazi was accused of trying to join Al-Shabaab after he travelled to Dar es Salaam, Tanzania, with a group of friends. He was detained in August 2009 and sent back to Europe. “Perhaps the British should be sorry they did not let him go to Somalia, he would probably be dead now like his friends,” Ayman said. In 2012, Emwazi escaped Britain for Syria, where he eventually joined the IS. His murdered friends were members of the ‘London Boys’, a close-knit circle of men from northwest London, to which Emwazi belonged. Of the group, six men were given military training in Somalia as early as 2006. The two friends referred to are likely Bilal al-Berjawi and Mohamed Sakr, members of the London Boys. They were stopped and deported from Kenya on their way to Somalia, but managed to reach the East African state in a second attempt that year. Both were later killed in US drone strikes. According to Ayman, Emwazi was convinced his friends were betrayed, leading to their deaths. He believed his friends’ location had been given to the Americans by members of Al-Shabaab during an internal power struggle. Emwazi was reportedly convinced Al-Shabaab was infiltrated by Western intelligence agencies and that they colluded in killing common enemies. “His view was that if they [the intelligence agencies] could not prevent people from going to Somalia, they had them killed there instead. He was full of suspicion about spies. It was his ambition to go to help Al-Shabaab, but he couldn’t, so he was frustrated,” Ayman added.